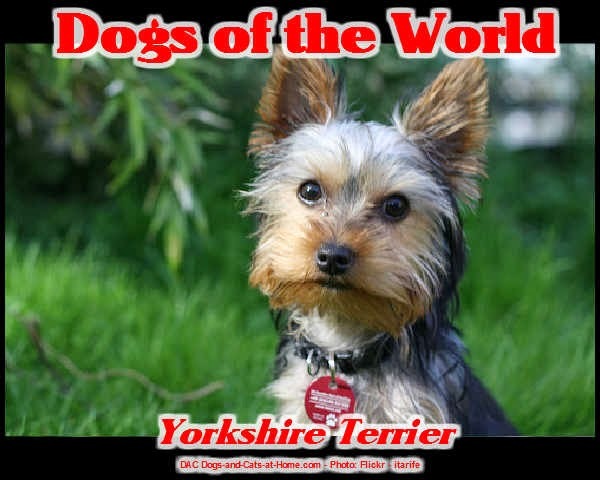 Understanding today's Yorkshire Terrier means looking at this dog’s ancestry. There seems to be little disagreement about the way in which the modern Yorkshire Terrier came to be. Even though there are no records of the earliest relatives of the Yorkie it's widely believed that the breed is estimated to is just over 100 or so years old. The Yorkshire Terrier of the past was much larger than today's terriers. It's surprising but the early versions of today's Yorkies were working class dogs. From the 11th Century, there was a rule that labourers were not allowed to hunt. In order to prevent hunting labourers were not allowed to own a dog big enough to be able to hunt. Dogs had to pass through a small hoop (7 inches in diameter) to prove that they were small enough. It was originally bred to be a hunting dog, catching rats, rabbits and mice to supplement their poor owner’s diet. Before the beginning of the Industrial Revolution people lived in small communities and grew up around factories and mines. With the Industrial Revolution came great changes to family life. People were drawn to the cities seeking work and a better life. These people brought with them the Paisley Terrier; who were mainly working dogs who used to catch rats and other small animals. The Paisley Terrier or Clydesdale Terrier was crossed with other types of Terriers. The English Black Terrier, the Tan Toy Terrier and the Skye Terrier. The Maltese were also crossed with these to produce long coats and a smaller stature. You can still see the similarity in shape between the Maltese and today's Yorkies. There aren't any records about the early pedigree to confirm these crosses. There were low levels of literacy and this led to poor record keeping. It is believed that this is the most likely of the crosses. The father of the modern Yorkie is said to be a dog called Huddersfield "Ben". Bred by Mr. Eastwood and owned by Mr. Foster; this was a very popular stud dog who had a great influence in the modern breed. He won many competitions and is believed to have set many of the standards for his breed type. The British Kennel Club registered the first Yorkies in the British Kennel Club Stud Book in 1874. The American Kennel Club started recognizing Yorkshire Terriers as a breed in 1885. The first Yorkshire in 1910 was the first specimen seen in a German-speaking area. Known as "Halifax Terriers" these dogs shared the appearance of the Yorkshire Terrier which to this day has changed very little. The breed standards for the Yorkshire Terrier have hardly changed. There are some small changes but these relate directly to the new knowledge in matters of canine health. The Yorkshire Terriers of today are brave, loyal and energetic. A loyal guard dog who will be suspicious of strangers and defend their territory. Yorkies like to bark but with good training, they can be taught not to. Some of the cross-breedings which results in tiny "teacup" varieties can cause health problems for today's Yorkshire terriers. Often their skulls are too small and this results in a range of respiratory problems. It is widely agreed that the breeding of such "Teacup" varieties is cruel and causes all kinds of health and behavioural problems. Be responsible and buy one of the more accepted varieties. If you are intending on breeding your Yorkshire terrier keep this in mind when choosing a sire. 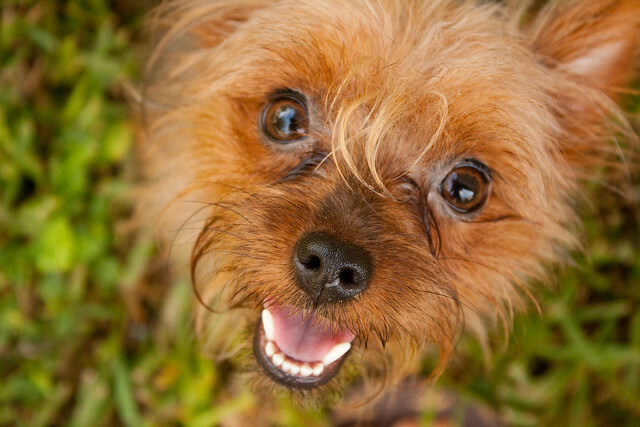 Today's Yorkies are energetic, fun and a delight to have around. They will keep you entertained for hours and years to come. The Yorkshire terriers, or Yorkies, originated from Scotland but bred in England. They were molded to hunt rats, but nowadays they are popular as pets. In fact, their variety was one of the Top Dog Breeds of 2005. They usually grow being small and light varieties. Hence, owners do not mind having their pets on their lap almost all day. Moreover, this usual bonding activity usually transforms this lap dog into a bright, playful, and loyal companion pet. Colors: black when young but they attain the colors tan and blue as they mature . • Urolithiasis, an infection of the urinary tract leading to the formation of bladder stones. • They require daily grooming. • Ears and eyes must be cleaned and checked regularly. • Dental hygiene must be regularly maintained. • They are fit only for short strides. • They should have a regular play time while lying under the sunbeams, chasing shadows, and joining tug-of-war. In the 19th century, a number of weavers from Scotland migrated to England and brought with them different terriers that were bred to hunt rats. Through time, these terriers were crossed and terriers with “broken hairs” were produced. In 1870, a “broken-haired Scotch terrier” was named as a Yorkshire terrier by a reporter. He argued that the breed should be called as such because his types were bred in a town called Yorkshire. Though the Yorkies were originally bred as working dogs, they became fashionable pets is England in the latter part of the Victorian era. In 1972, Yorkies were brought to the United States and became the country’s favorite pet. You can say that the Yorkies developed into tough breeds because of their ancestors’ reputation as rat-hunters. However, their size, and playful and bright character have actually captured the attention and affection of most pet owners. Most proud owners would boast that they have the great giants inside the bodies of these little dogs. If you want a small but terrible breed of dog, grab a Yorkie now! Just a friendly reminder, they would really need your attention and companionship than any other terriers. In the 19th century, a number of weavers from Scotland migrated to England and brought with them different terriers that were bred to hunt rats. Through time, these terriers were crossed and terriers with "broken hairs" were produced. In 1870, a "broken-haired Scotch terrier" was named as a Yorkshire terrier by a reporter. He argued that the breed should be called as such because his types were bred in a town called Yorkshire. Though the Yorkies were originally bred as working dogs, they became fashionable pets is England in the latter part of the Victorian era. In 1972, Yorkies were brought to the United States and became the country's favorite pet. You can say that the Yorkies developed into tough breeds because of their ancestors' reputation as rat-hunters. However, their size, and playful and bright character have actually captured the attention and affection of most pet owners. Most proud owners would boast that they have the great giants inside the bodies of these little dogs. If you want a small but terrible breed of dog, grab a Yorkie now! Just a friendly reminder, they would really need your attention and companionship than any other terriers.